Fragments are small parts of any broken material like those in clay pots, mirrors, or windows. In terms of writing, how can you compare a group of words to a broken material fragment? A sentence has two characteristics: it should have a subject and a predicate and it should expresses a complete thought. But what if you are reading something that seems to appear like a sentence but if you would look closely, it lacks one of the two characteristics? Such group of words is called a sentence fragment. 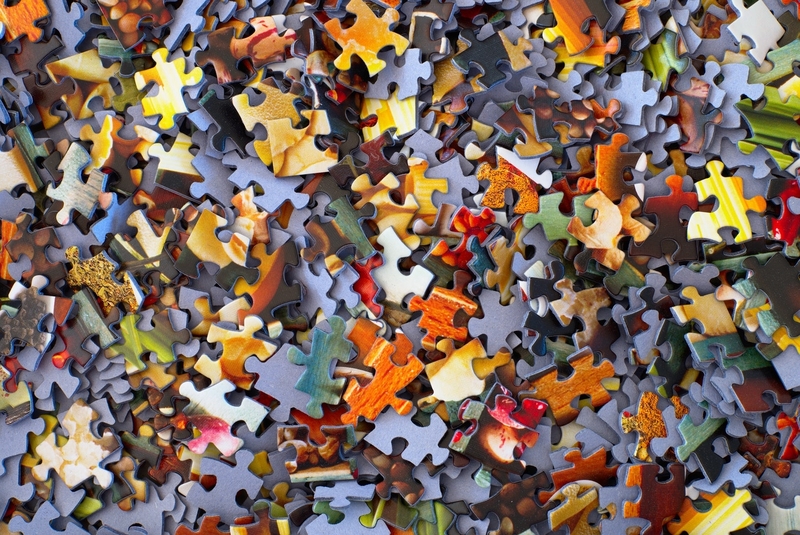 Sentence fragments can be likened to a puzzle that is not complete. Sentence fragments only have half of the pieces of a puzzle. It does not have every piece because it does not create the complete and whole picture. To simply put, sentence fragments are similarly structured like sentences but are actually not. A sentence fragment is a group of words that is punctuated like a declarative, exclamatory sentence, imperative sentence, or interrogative sentence. However, it does not express a complete thought. A sentence should contain a subject, a verb, and a complete thought which makes up an independent clause. There should be one independent clause in order to convert a group of words into a sentence. However, fragment sentences can never have independent clauses– it only has dependent clauses or phrases. It is quite tricky to differentiate sentence fragments from real sentences since it is punctuated like one, but once you look at it closely, you could tell that something is off. That is because fragment sentences can never express a complete thought. What Makes a Sentence Fragment? A group of words becomes sentence fragments when it lacks a subject, a predicate, and a complete thought. A group of words is considered a fragment when it lacks a subject. This sentence fragment does not tell who or what the sentence is talking about. Complete sentence: Abigail cried with her friend. Complete sentence: Our family doctor suggested another week of treatment. Complete sentence: My younger brother drank the entire contents of the milk carton in one go. A group of words is considered a fragment when it lacks a predicate. It is in the predicate where you can find the verb of a complete sentence. Complete sentence: The city with destroyed roads had finally had its roads fixed. Complete sentence: The black dog with white spots is my pet since I was ten years old. Complete sentence: The student council officer who gave a long introduction was actually presenting an esteemed figure from the media. In fixing sentence fragments, all you have to do is attach independent clauses in order to create a complete thought. In longer written compositions, there are instances when it cannot be avoided that a sentence fragment will be created. All you have to do is attach the fragment to a nearby sentence with a similar structure to give the sentence fragment a complete thought. Here are the types and examples of sentence fragments and how to fix it. There are some instances when dependent or subordinate clauses are written in a sentence form. Dependent clauses, despite having a subject and a verb, does not express a complete thought because it always begins with subordinators, and subordinators are being used to connect to an independent clause. When you see a sentence that starts with any of the subordinators listed below, it is a guideline for you to know whether the group of words are possibly sentence fragments. Because he failed the exam. Because he failed the exam, he was not able to pass the subject. A participle phrase begins with a word that starts with either -ing or -ed. A participle phrase can become a sentence fragment when its constructed like that of a sentence. Waiting for a bus that would pick her up. She studied for her exam while waiting for a bus that would pick her up. Infinitive phrases begin with an infinitive which is to + verb. An infinitive phrase can become a sentence fragment when its constructed like that of a sentence. Playing with her pen nervously, she sat in the classroom. To take the subject’s final major examination. Playing with her pen nervously, she sat in the classroom where she is to take the subject’s final major examination. Another type of a sentence fragment is the afterthought fragments. To identify this kind of fragment, always see if it begins with the transitions mentioned below. These transitions are used in presenting or adding additional information from a previous sentence or succeeding statements. The teacher knows the signs that a student is new to cheating during examinations. Such as having wandering eyes, restless behavior, and sweating foreheads. The teacher knows the signs that a student is new to cheating during examinations such as having wandering eyes, restless behavior, and sweating foreheads. The lonely verb sentence fragment occurs when a verb phrase does not have a subject. After the exam, she left the room immediately. And she went straight home while still feeling nervous about the results. After the exam, she left the room immediately and she went straight home while still feeling nervous about the results. The last (but not the least) type of sentence fragment is the appositive fragment. A group of words becomes an appositive fragment when an appositive is written in a way that it looks like it can stand alone, but really it should not. Appositives are a group of words that renames a noun next to it. You may also like preposition sentences examples. When she arrived home, she was welcomed by her parents. A comforting embrace that enveloped her as soon as she stepped into the house. When she arrived home, she was welcomed by her parents with a comforting embrace that enveloped her as soon she stepped into the house. The next time you are going to write any composition, you can use this guide in order to avoid writing different kinds of sentence fragments. Writing a sentence can be quite tricky since there are times where writing sentence fragments are unavoidable. But after gaining important knowledge and information after reading this article, you can now be assured in eradicating sentence fragments in your sentences.